I have deep love and respect for the practice of Yoga as a path of awakening. While training for a marathon in 1998 I took my first Hatha Yoga class, which led me to complete the first of many Teacher Training programs beginning in 2002. The personal transformation I receive from this practice is the gateway to share this amazing practice with others and in 2005 I opened the doors of Rancho Bernardo Yoga. With more than 2000 hours of formal Yoga training and having the great honor to study in depth with several master Yoga teachers I followed the inner call to travel and study in India. I am dedicated to being of service and to the healing and transformative power of Yoga as a life practice. My classes and workshops range from basic to advanced to therapeutic and I enjoy working with practitioners of all levels. My classes emphasize precise alignment and weave inspiring Yoga philosophy that celebrates life and honors the light of the individual heart and the heart of the community. My sincere intention is for every pose, every breath to be an offering to the highest and to take the revelations and transformations we receive on our Yoga mats back into our lives. I am humbly grateful to the wisdom, grace and technical knowledge I have received from my teachers. With a full and grateful heart, I share my life with my beloved husband of 18 years and two big hearted, slobbering Newfoundlands. Yoga has been a part of my life for 13 years. It was through my own heart awakenings as a result of this practice that sparked my desire to share my passion for Yoga with others. To assist and guide others to open to grace and connect to a deeper part of themselves. I am a student and teacher of Hatha yoga and through the skillful teaching and guidance of Jeanne Stone my knowledge of both Hatha and Therapeutic yoga has lead me to share this practice with a full heart and complete joy. I completed my first 200 hour training at Sundara Yoga College in Encinitas and two 200 hour training at Rancho Bernardo Yoga. I practice yoga for the openness it creates in my body, my heart, and my mind. I love the continuous self-study of yoga and the emphasis it places on integrity and compassion. I feel honored to share this practice with the community, and to show people how they can live with more freedom and peace as well. Greetings beautiful Yogis and Yoginis! I am so honored to be a teacher here at Rancho Bernardo Yoga and blessed that I get to practice and work amongst you all. I have lived in Rancho Bernardo for the past four years with my loving husband Chris, beautiful daughter Kelly, and super dog Marco. When not yoking at the studio, you will find me volunteering at my daughter’s school, Westwood Elementary, and giving monthly seva classes down at Olivewood Learning Center in National City. If not there, check the surf report because I might be out on the waves! I fell head over heels in love with yoga about six years ago after going through a significant weight loss. I had lost myself for many years. We all have daily struggles, whether it be our weight, our patience, or our ability to find peace. I have gone through moments of clarity and moments of cloudiness, but the one thing that stayed true and lifted me through it all was my yoga practice and my devotion to its vedic wisdom. I teach from the heart, trying to make your practice the most blissful part of your day. If I can help you see the beauty of your asana, the power of your breath, and the radiance that is you, then I know I have done my job! Namaste`. 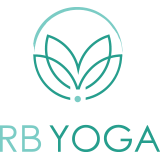 I have a deep love and respect for the practice of yoga and a genuine commitment to my yoga home at RB Yoga. I have flowed in and out of yoga practice since my college days, but I guess you could call me a yoga late bloomer! In my 50’s I decided to get serious. It started with a personal goal in 2013 to fully integrate the practice into my life and go to class at least 5 times a week! Mission accomplished, I thrived in 2013 and realized the amazing mental, physical and spiritual benefits to a dedicated yoga practice. The teachers at RB Yoga equally instruct and inspire. I decided in 2014 to complete the 200 hour teacher training at the seat of the remarkable Jeanne Stone. I am now so excited and honored to share my practice and the lessons I continue to learn daily from my beloved RB Yoga teachers with my own students. Jenifer Gaudren is a licensed massage therapist, certified holistic nutrition consultant, certified Therapeutic Yoga instructor, Reiki Master, and shamanic healing practitioner. She is a graduate of the School of Healing Arts, San Diego, CA. She holds a certificate of medical massage from the LMT Success Group. She is licensed by the state of California and certified by the National Board of Therapeutic Massage and Bodywork. Jenifer is also a member of the Associated Bodywork and Massage Professionals. Jenifer is trained in many therapeutic bodywork modalities, including medical massage, therapeutic yoga, reiki and shamanic journeywork. She utilizes many techniques in order to best facilitate healing in each person she works with. Each session is based on the intention of the client so they may find balance, both physically and emotionally. Jenifer believes that balance can be achieved by everyone, and loves to contribute to the healing journey of others. She values and strives for integrity and grace. She enjoys being in nature, running and hiking. Regina has been teaching yoga since 2007; Hatha Yoga Certified through Roots and Wings Yoga Teacher Training, as well as trained in Senior Gentle Yoga, Prenatal Yoga, Yoga Trance Dance with Shiva Rae and Trauma Conscious Yoga designed by Connected Warriors; offering free trauma conscious yoga to Active Military, Veterans, and family members. Regina has always been dedicated to health and fitness and then discovered her passion for yoga; believing that yoga offers many natural gifts and continuous opportunities of self-discovery directly enlightening the mind, the body and the spirit. Living a healthy lifestyle, offering yoga classes to others and honoring time for her continued self-discoveries on and off the mat adds to the delight and amazement of being an on-going student of life. Regina is devoted to share the beauty of yoga encouraging the flow of the breath to lead each individual through their practice. She enjoys teaching all levels; instructing gentle to challenging postures as well as demonstrating posture variations and modifications. Regina introduces herself in class not only as the instructor but taking a subtle role as a “tour guide” offering ways that ensures everyone the opportunity to embark on their own personal journey and embrace the unity between their mind and their body, encouraging each person to enjoy their practice, honoring themselves in each moment every time they step onto their yoga mat; emphasizing that it is “Your Yoga, Your Body, Your Breath, Your Time”. As a long time runner and cyclist I was looking for a way to stay injury free and was immediately drawn to yoga initially for its physical benefits but then realized the spiritual benefits of yoga as well. I have been practicing yoga for over 13 years and received my RYT-200 hour certification from Jeanne Stone at Rancho Bernardo Yoga. I continue to study and draw inspiration from all of the amazing yoga teachers in the San Diego yoga community and continue to deepen my yoga practice and education by attending yoga workshops and training. My classes are laced with a sense of humor. With a great sense of joy and full commitment to teaching yoga, I offer a practice that is safe, nurturing and inspirational — whether you are a true beginner or a seasoned practitioner. I hope to see you on your mat soon at Rancho Bernardo Yoga! I began practicing Hatha yoga in 2010 to deal with health issues related to stress and overtraining and was immeditately impressed by the sense of balance and awareness that this practice brought to my life. Practicing and teaching yoga helps me continually re-commit to my life’s purpose – To live with love, integrity, joy, continuously learning, listening, coaching and teaching. I listen to, nurture, and challenge practitioners to support their overall health, recognizing we practice for many different reasons. I also teach iRest© Yoga Nidra – based on ancient yogic teachings and adapted for the western mind and culture, iRest is both an educational process that focuses on physical, psychological and spiritual well-being and a meditative path to awakening. I am blessed to be married to my best friend, Lisa, since 1989, and am the proud father of our daughter Megan, and our son Will. When not at work or on the mat, you may find me at the beach surfing and bodysurfing, or running and playing with my family. Peace.